The first semester is almost over...all we have left is exam week which starts Tuesday! I LOOOOVE our exam week schedule because we have two exams in the morning and then the students go home at 11am, which leaves the rest of the day to grade, organize, and plan for the start of second semester. It's a really great time to 'reset'! I wanted to make a little treat for my students to get them through the week and as farewell gift since they'll all be changing classes next semester. I happen to teach all semester-long classes so I'll be getting a whole new crew of kids next week! 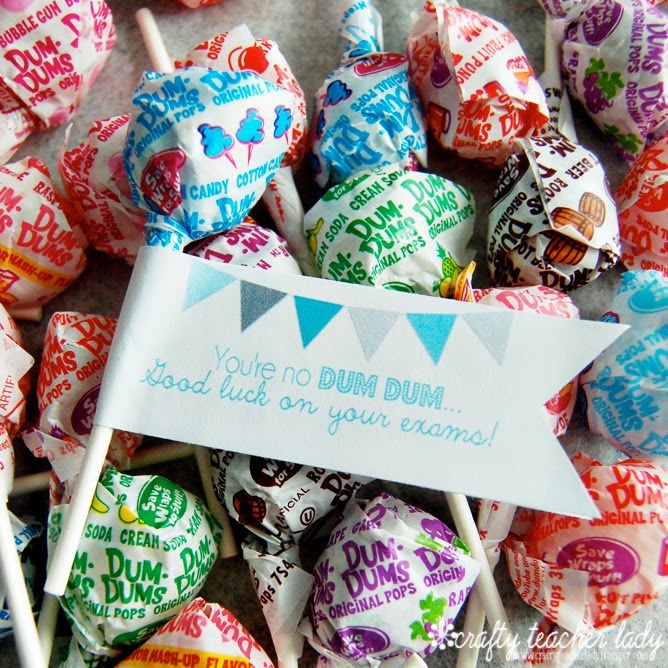 I bought a couple bags of 'Dum Dums' and designed a little flag with a cute saying to glue on each lollipop. I've created a sheet of 6 flags and have made them available for you to print at home (or school) so you, too, can give your students a little treat! 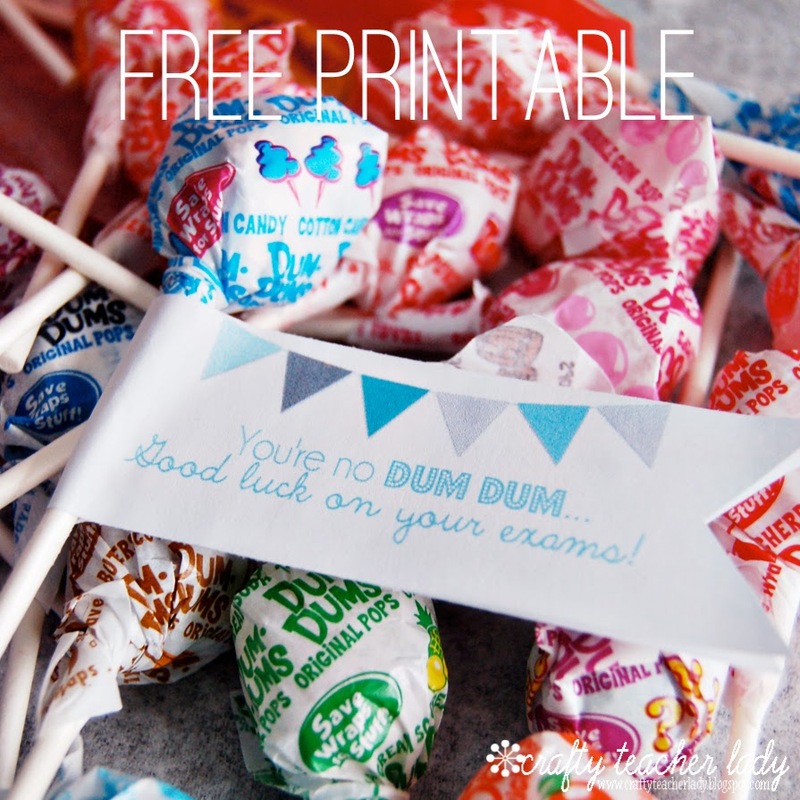 Simply print the sheet, cut out the flags, fold around the lollipop stick, and use a glue stick to secure! Love this idea! 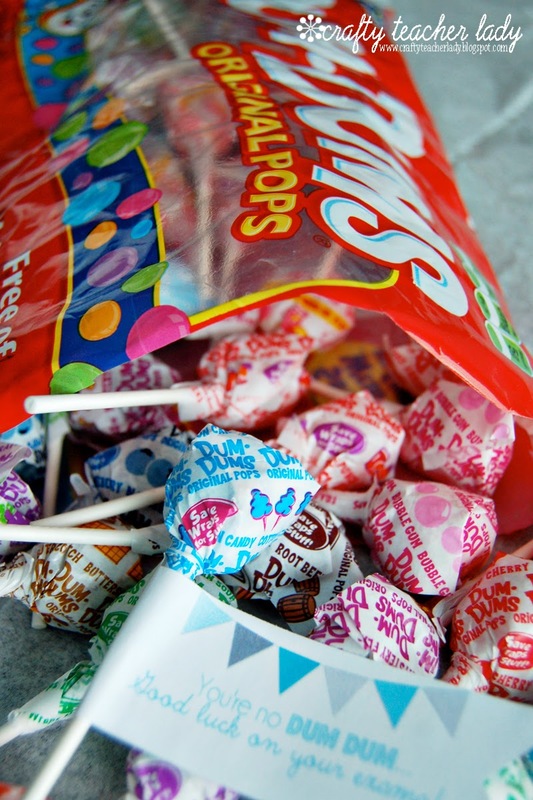 One of my son's 2nd Grade teacher would give her students Smarties on Mondays and Dum-Dums on Fridays.